A reference point for the Ultra High Performance segment, it is characterised by an asymmetric tread pattern. Ideal for all top of the range sports and high-powered cars, it can also be considered for powerful mid-range vehicles. 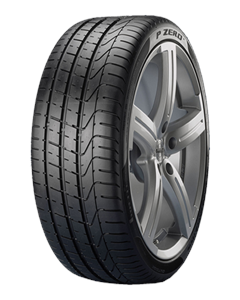 A milestone in the development of the Pirelli range, Pirelli P ZERO™ has been chosen as original equipment for the most performance orientated and powerful models on the market. Its asymmetric tread pattern improves braking performance and enhances handling and control. Excellent in wet conditions with improved safety in potential aquaplaning situations. Its new nano-composite compound ensures maximum grip and stability. The structural integrity of the tyre improves steering response, which is essential in sports driving, and also ensures uniform tread wear. The special “S-shaped” grooves in the tread area deliver lower cabin noise levels, enhancing driver comfort. The selection of Pirelli winter and summer car tyres is characterized by the presence of multiple and different cost-effective solutions. Great service, good prices, prompt service... This is the second pair of tyres I have had fitted by Central Auto Centre and i am very happy with the whole process both times. I like the choice of tyres, the price includes everything (except actually driving there!! ), I like the easy to use website, I like the fact this is a local business. I especially like the ease of doing business via the website and the fact that you simply order and book a fitting time, then pay on fitting. This makes the buying process so much quicker which is good. Thank you to all at Central Auto Centre for this great service. Quick and easy tyre replacement. Cost as quoted online. Would use again. Great Garage, run very well....Guy and Alan are very good. They always try to fit you in and always deliver. Very trustworthy and highly recommended.